Kyle Yasuda, the president of the American Academy of Pediatrics (AAP) said that "this product is deadly and should be recalled immediately", in a statement. "Consumer Reports" review also found fatalities involving children younger than 3 months old. They say all 10 of the babies were 3 months of age or older. The American Academy of Pediatrics (AAP) calls on the U.S. Consumer Product Safety Commission (CPSC) to issue an immediate recall for the Fisher-Price Rock 'n Play Sleeper inclined sleeper, which has been tied to 32 sleep-related infant deaths, according to a new analysis by Consumer Reports. Because deaths continue to occur, the CPSC said it is recommending consumers stop using the product "by three months of age, or as soon as an infant exhibits rollover capabilities". It did not specifically name the Rock 'n Play in its warning. "With this product being out on the market being marketed as a sleeper, parents are confused", she said. They say stores should remove the rocker from their shelves. The Australian consumer watchdog has warned parents to keep a Fisher-Price sleeper "out of reach of children" following reports it has been linked with at least 10 infant deaths in the United States since 2015. 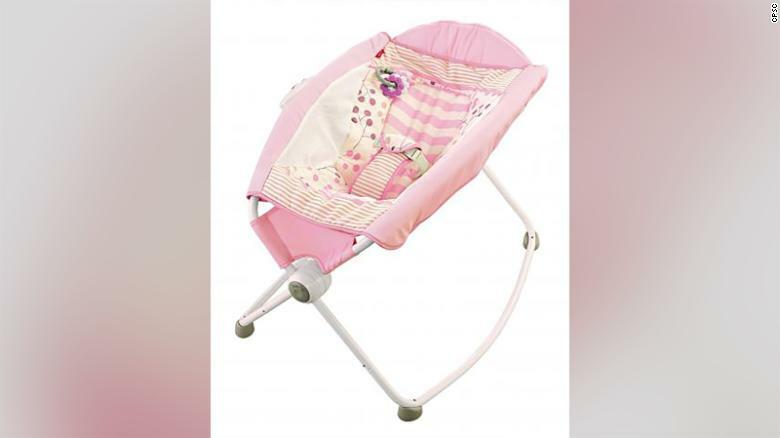 The AAP cautions parents against purchasing sleep products like Rock 'n Play or other sleeping products that require infants to be restrained. "Stores should remove the Rock 'n Play Sleeper from their shelves". 'Child safety is our priority, ' the company said. Fisher-Price received 600 reports of mold on the product, with some customers reporting their infants was treated for respiratory issues, coughs and hives after sleeping in the product, according to the CPSC. But an investigation by a safety not-for-profit organisation found the sleeper was linked to at least 32 infant deaths since its introduction in 2009. The writing pretty much has been on the wall for a while, but Luke Walton no longer is head coach of the Los Angeles Lakers . Lue has experience coaching LeBron James and also played for the Lakers. "They did everything right, I'll say that".